Specials Not Valid During Holidays or Special Events. For New Reservations only booked after 03/15/2019. As always, Automatic Free night when 7 nights are booked – no code needed! Welcome to Timberwinds Cabins, your home away from home in paradise. Our cabins in Gatlinburg and Pigeon Forge offer just the right combination of modern luxury, rustic charm, secluded privacy, and nearby fun! At Timberwinds Cabins, you can truly find budget-friendly Gatlinburg cabin retreats for yourself or the whole family. Discount Gatlinburg Cabins and Special Deals! Timberwinds Cabins are perfect for couples, families, or friends looking for discount chalets and discount cabins near Pigeon Forge and Gatlinburg. 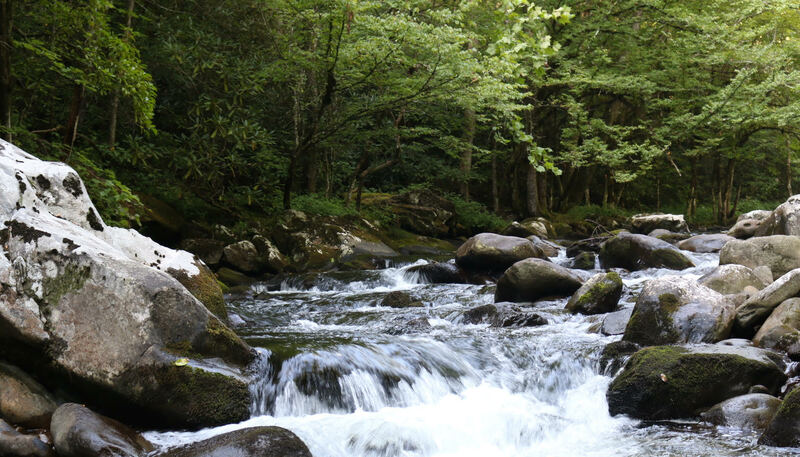 Want to explore Great Smoky Mountains National Park? Many of our Gatlinburg cabins are just moments away from access to hiking, auto touring, and more. Get special deals on extended stay cabin rentals in the Smokies. Any stay in a Gatlinburg cabin is going to help save your budget, thanks to the luxury amenities included. Skip the pricey spa and hang out in your included private hot tub or jetted tub! All cabins come with a fully equipped kitchen (just bring food!) so you can cook your favorite meals as well. Timberwinds is proud to host many repeat clients every year for their annual family getaways. We provide exceptionally clean and well-maintained cabins in Gatlinburg, TN, and you never have to worry about forgetting extra supplies. The cabins are stocked with linens, cookware, and include laundry machines. Our friendly staff will address any concerns you have right away upon your arrival, so rest assured that even in a secluded mountain cabin rental in Pigeon Forge or Gatlinburg, you still have access to great hospitality and service! Does your idea of a getaway start with stepping out onto a private balcony to watch the sun rise over the panoramic view of the mountains? Or maybe you are a night owl, and would love to relax in a hot tub while you watch the stars come out over the peaks of the Smokies? Our cabins offer stunning views of the Great Smoky Mountains from private decks and balconies. Look for cabins like the Heaven’s Gate or Amazing Smoky Views to get a taste of picturesque settings. To reserve your stay in our cabins in Gatlinburg, TN, simply search based on how many rooms you need, or browse through them all. Then scroll down on the cabin’s page to select your vacation dates on the calendar. Our cabins are available year-round. Enjoy tons of outdoor fun in the summer, or cozy up in front of the cabin’s fireplace to watch the snow-covered peaks in the winter. Autumn is a particularly lovely time, as the trees turn the mountainside gold, red, and yellow. Once your stay is reserved, you just need to pack up and head on over! We can’t wait to help you have the most amazing getaway you’ve ever experienced in our cozy cabins in Gatlinburg and Pigeon Forge. "How beautiful on the mountains are the feet of those who bring good news..."